- An all natural treatment for nausea, vomiting and dizziness. 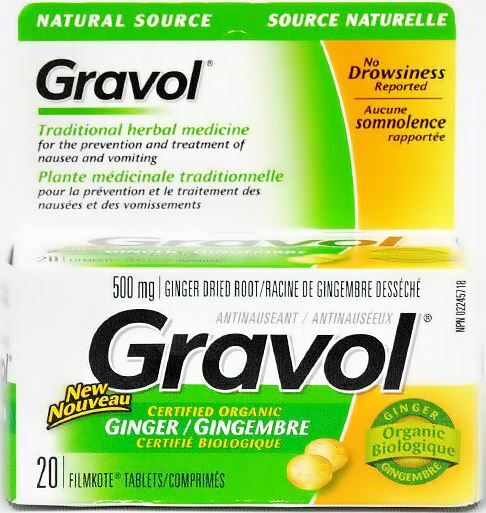 - No drowsiness reported with use of the product. - Unique easy to swallow Filmkote tablets. - No aftertaste. Directions: Adults and children 6 years and over: take 2 tablets every 4 hours 1 to 3 times a day. Do not exceed 6 tablets a day. For the prevention of motion sickness take 2 tablets at least 30 minutes before departure. Caution: Do not use if you are pregnant or breastfeeding. Persons with gallstones should consult a physician prior to use. Do not exceed the recommended dosage. Prolonged use should be only on physician’s advice. Consult a physician if symptoms persist.